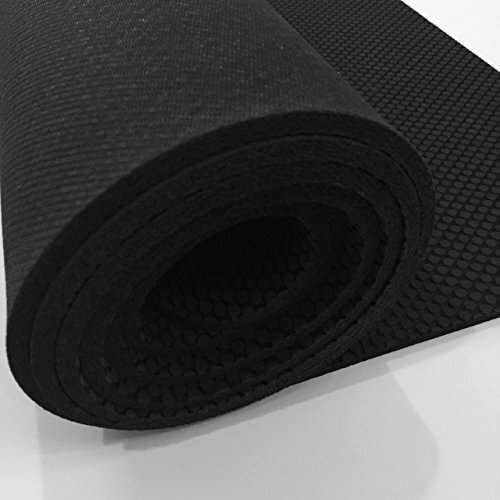 If you've ever unrolled a brand new yoga mat only to be overwhelmed by the chemical smell, then a rubber yoga mat is for you! Take some time to practice yoga on a mat that has it all. This mat is unsurpassed in quality and grip and made exclusively from natural tree rubber. Completely non-toxic, 100% bio-degradeable and sustainable. You can breathe easy. Remember, plastic in your yoga mat is NEVER okay! There are over 1,000 possible additives in plastic. Plastic manufacturers are not required to provide the ingredients and additives used in their mats. These additives not only gas from the mat, but are absorbed by the skin through the hands and feet! Knowing exactly what your mat is made of is essential for a healthy yoga practice. A plastic mat is forever even though it won't last that long for you. There is no "away" for it. 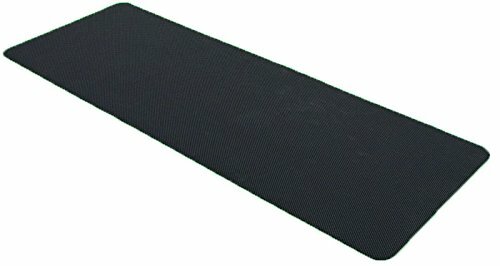 This rubber yoga mat is 100% biodegradeable. 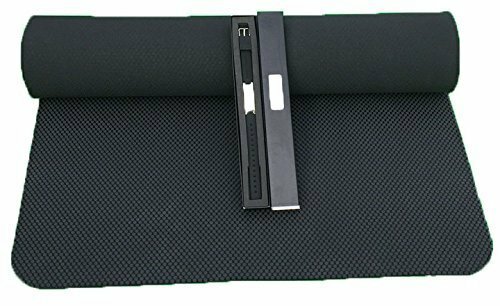 Our mat measures longer than standard at 72" x 24" and with a 5mm thickness, offers ample cushioning and fast springback for ultimate comfort and mobility. If you've ever slipped during a pose, the power grip feature on this mat is a necessity. Both sides of this mat can be used interchangeably. You will never go back to a plastic mat once you try a rubber one. ALL NATURAL Tree Rubber, non-toxic containing NO synthetic rubber, PVC, or TPE 5MM THICKNESS AND FAST SPRINGBACK POWER GRIP - Never Slip Again HIGH QUALITY - SGS certified - longer lifespan than foam mats ENERGY BAND BONUS - included for increased balance and more.